Every technician has extensive knowledge about installing each of these brand of garage doors, and more! 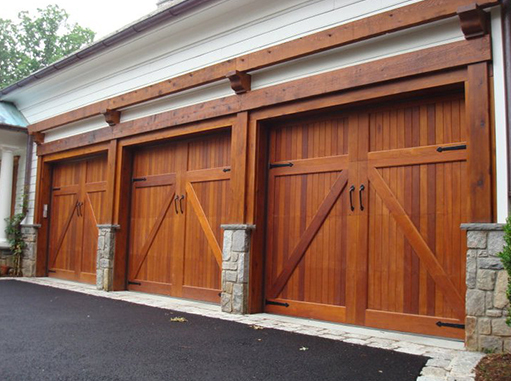 Not to mention, we install all sizes of garage doors, and also commercial doors. Rather than struggling to find a solution, give us a call and use our free same day service consultation. As shown above, we work with all the top brands and we will stop at nothing to keep your garage door secure and working accordingly. Affordable prices with amazing results. With this in mind, give one of our friendly staff members a call and set up your installation date today! First thing to remember, is we always offer same day emergency service. So don’t stall, just call. Belt drive openers are the quietest and the smoothest. Living space close to your garage? Then pick up the belt drive for the least amount of disturbance. Most manufacturers provide lifetime warranty as well! Screw drive openers have an uncommon method of lifting the door. All it has is a steel rod and the instrument moves around it. Uniquely they also consist of less parts, and need much less maintenance than the rest. Affordability and popularity is key with the chain drive. Very reliable, won’t hurt your wallet, and the most common opener in the market. Many new models available so give us a call for more details. Jackshaft, another uniquely styled opener which is mounted on the wall beside your garage. Used mostly due to low ceiling levels in your garage, and to provide more storage space. Noise free, and very stable. Torsion springs and extension springs are the two basic type of springs available for garage doors. Extension springs sit on the side of the garage door and they are used for lighter doors. On the other hand, torsion springs are used for heavier doors and are placed directly above the garage door. Luckily ABES Garage Door Repair Torrance CA installs both types. In addition to installing, we also have extensive experience on repairing both types. Never try this at home, you need specific tools and knowledge in repairing springs. As a matter of fact, it is very dangerous to try to repair springs yourself, it can cause serious injury. Have a spring problem? Give us a call and get one of our repair men to come to your property and help you fix that problem.